Bring out the Light Up Drinks Jug for parties, BBQ's and general get togethers to add a little extravagance to your celebration. 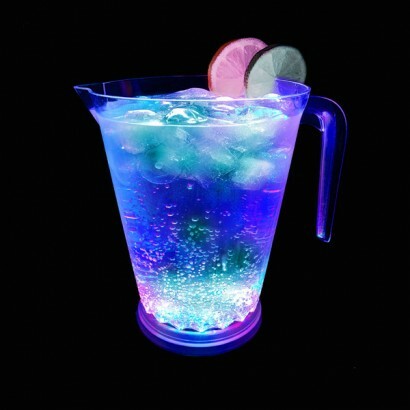 The Light Up Drinks Jug holds up to 1400ml of your favourite drinks concoctions and will light up through a colour change sequence from LEDs fitted in the base. Simply insert three AAA batteries and this groovy party pitcher will light up your drinks throughout your entire evening! Stands 20 cm (8 inches) tall approx.